This is your first step on the path to becoming a Total Ninja. Welcome, stranger. We have been waiting for you. Once in a generation a true hero is born. One so powerful they can transcend the limits of mere mortals and achieve amazing feats of strength and agility. That hero is you. Many trials lay ahead but you have already taken your first steps to reaching your ultimate destiny. Quiet your doubt, channel your inner warrior and see if you have what it takes to become… the Total Ninja. 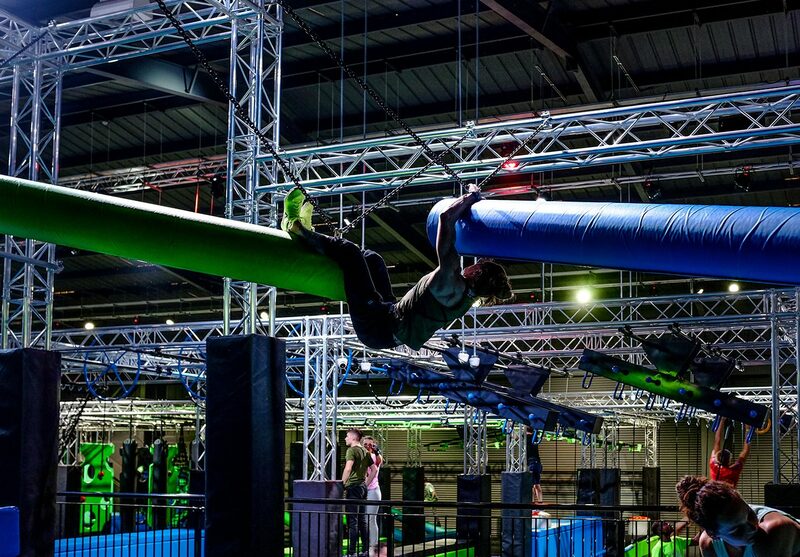 Find your calm on Rolling Logs, sail through the Sea of Swings and reach new highs on the Warped Wall. 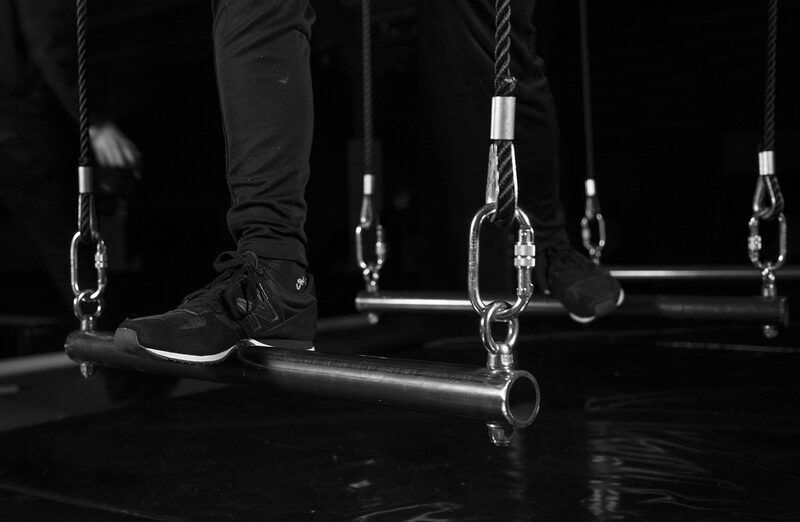 Each obstacle on our eleven ninja runs is designed to show what you can do, not what you can’t. We see greatness inside of you – now unleash the ninja within. 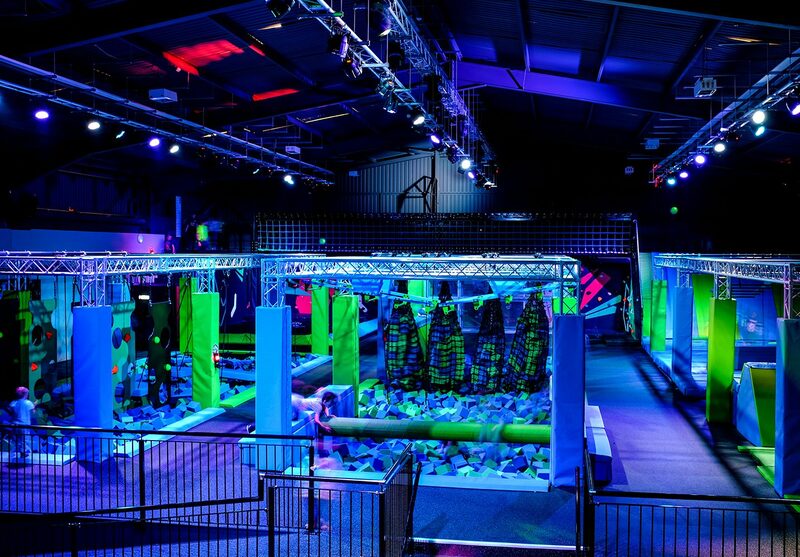 The obstacles to overcome include: Spider Wall, Ring Sliders,Warped Wall, Ninja Reaction Zone, Jump Tower, Sea of Swings, Tilting Beams, Rotating Logs, Scramble Net, Spider Wall, Quad Steps, Sea of Doors, Floating Bridge, Ninja Climbing Wall, Giant Airbag and Foam Pits. Anyone can become a Total Ninja, your biggest obstacle is walking through the door. Our Ninja Academy is where tiny acorns sprout and potential is everything. Even the mightiest warrior was one day neither mighty or a warrior, and their journey to greatness only started when they had the courage to try. 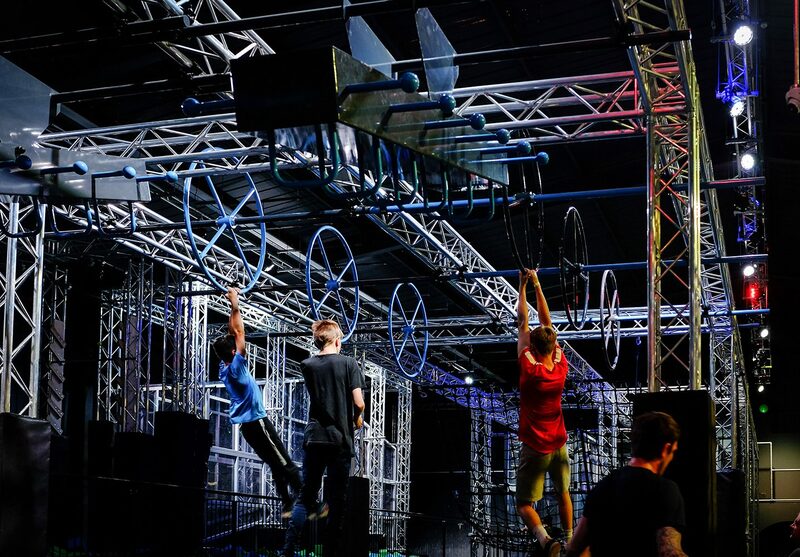 Over 20 impossible obstacles, two levels to achieve and one ultimate nemesis – you. You will be your own greatest foe as you try to conquer the Beginners level, before moving onto triumph the Intermediate level. Graduate as a Ninja Recruit and you’re on your way to becoming… the Total Ninja. 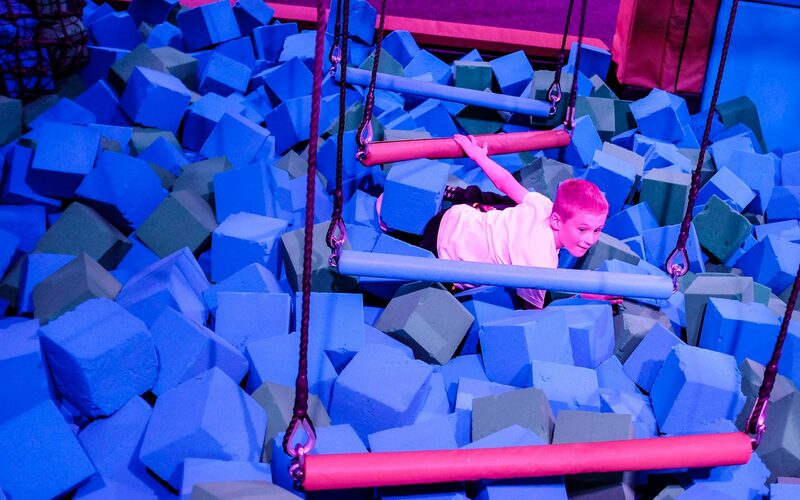 Conquer our Ninja Pro run and you can call proudly yourself the Total Ninja. But before you overcome the obstacles you must first overcome all doubt. Only a warrior who is at complete oneness with them self can hope to master our most advanced training ground. To become the ninja you must prepare your body. Use the Ninja Gym to build your strength and focus your mind for the obstacles that lay ahead of you. Here is where you will overcome your biggest challenges, the park is where you’ll prove it. Sometimes the greatest skills can be learnt through play. Book a Total Ninja party for your little ninjas and their honoured guests. Embrace your destiny, push yourself to your limits and find your inner ninja.